Hello everyone! Patricia here today with another inspirational Christmas Card. 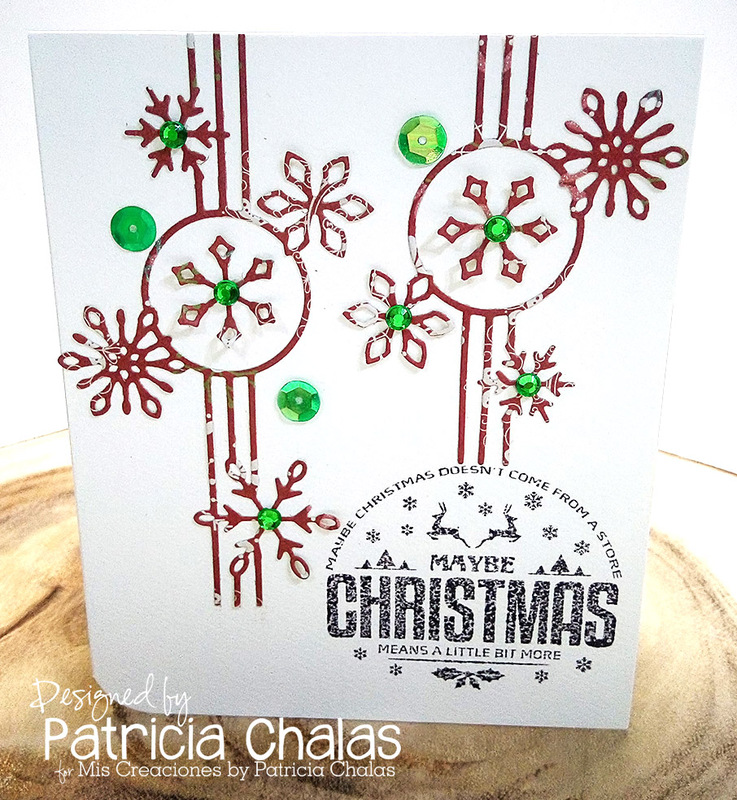 This time, I created a very cute and CAS Snowflakes card, using one of my forever FAV Die cut. My card base is a 4 1/4" X 5 1/2" off white card base. Next I took a piece of old time Christmas DP from my stash and die cut twice Snowflake Centerpiece from Memory Box added it directly to the front of the card not center not same height and trying that the snowflakes were kind of diagonally. 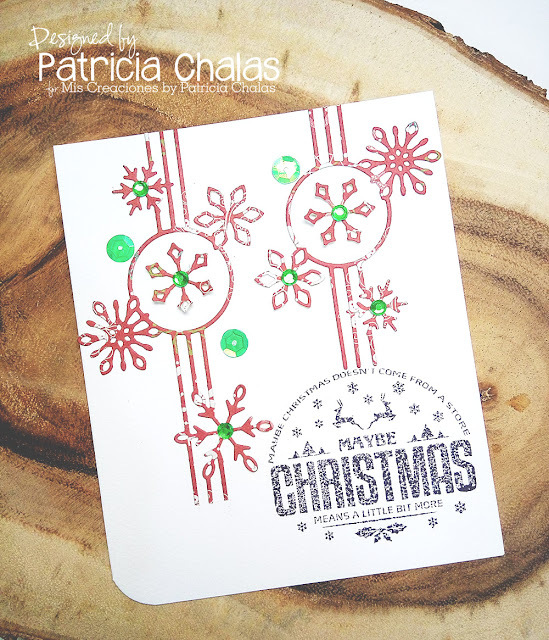 Put some mini green rhinestones to the center of the Snowflakes diagonally and add it some green sequin I used a sentiment from The Project Bin Stamps Maybe Christmas set. Just beautiful Patricia! So festive and sparkly! Wonderful holiday inspiration ... thanks! Gorgeous card Patricia, I love the snowflake die, I too could be adding it to my collection of Christmas dies! This is one of those dies that is hard for me to visualize how it will look once it's cut out but your card does a great job of that and more. Like the CAS red, green and white together. Oh those snowflake dies are awesome and you have used them PERFECTLY!!! Awesome card! Oh Patricia, this is so pretty! Those snowflakes are awesome!! very pretty, like the different levels of the die and cut from patterned paper!